SWEDISH HOUSE MAFIA are proud to announce the final leg of their world tour. After a week of dots appearing around the globe, over 20,000 sightings from planes to projections, fans joining in across the world and trending globally twice on Twitter, the dates have finally been revealed. Spanning the globe, One Last Tour, will be their most extensive and extravagant shows to date starting in Dubai on November 16th and will see the band travelling across continents, visiting India, Russia and South Africa for the first time. The tour will then hit North America starting in February, 2013, where the Swedes will once again play New York’s legendry Madison Square Garden as well as a night at the Barclays Center. One Last Tour will also make North American stops in San Francisco, Chicago, Toronto, Montreal and Los Angeles. All Tickets will go on sale on Friday, September 28th starting at noon, except for South Africa & India where tickets will go on sale October 8th. 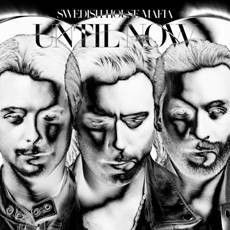 SWEDISH HOUSE MAFIA will release their second compilation album entitled ‘UNTIL NOW’on October 22nd (pre-order starts September 25th). The album will form the official soundtrack to One Last Tour (go to http://www.onelasttour.com for more information). The follow up to their first mix album ‘Until One’, the album will feature a unique collection of the Swedes’ original tracks, remixes, exclusive collaborations, club favorites and solo productions. ‘UNTIL NOW’ highlights include the latest SWEDISH HOUSE MAFIA single “DON’T YOU WORRY CHILD” (feat John Martin) – which was debuted to 65,000 people at the band’s recent UK farewell Milton Keynes Bowl show, the previously unreleased Coldplay Vs Swedish House Mafia ‘Every Teardrop Is A Waterfall’, global club anthems ‘Calling’ and ‘In My Mind’, Steve Angello and Third Party’s ‘Lights’, the Swedes remix of their production for Usher ‘Euphoria’ plus more previously unreleased tracks. After exploding on to the scene in 2010, the Swedes followed up their huge genre-defining club track “One” with the worldwide platinum-selling single “Miami 2 Ibiza” featuring Tinie Tempah, their first single to hit #1 on the Billboard club chart. Both tracks appeared on their 2010 compilation album ‘Until One’, which is still in the UK top 50 chart nearly two years after its release. The boys followed this with their second Billboard club chart topper and Grammy-nominated “Save The World” last Summer, also a huge hit around the globe. They ended 2011 playing to 20,000 people at New York’s Madison Square Garden which sold out in a staggering 9 minutes. 2012 so far has seen the release of the highest charting club track on Billboard club chart ever (#3) – “Antidote” – a collaboration with Pendulum’s Knife Party, a second bigger and better Masquerade Motel in Miami and the release of the incendiary “Greyhound” (an all-Swedish collaboration with Absolut Vodka). This Summer SWEDISH HOUSE MAFIA bid a glorious farewell to the UK in spectacular fashion with their biggest headline show to date at Milton Keynes Bowl against a show-stopping backdrop of lasers, fireworks and flames.